The Town of Fenwick Island Municipal Election is held on the first Saturday in August every year (if there are candidates). Property owners can find voter and municipal election information within Chapter 13 of the Town of Fenwick Island Code. Resident: Every natural person, who is a citizen of the United States, age 18 on or before the date of the election, a bona fide resident of the Town as of March 1 prior to the annual municipal election, and registered to vote, if provided by ordinance, shall have one vote. Non-residents: Every property owner as of March 1 prior to the annual municipal election, whether a natural person or artificial entity, including but not limited to corporations, partnerships, trusts, and limited liability companies, and who is registered to vote, if provided by ordinance, shall have one vote. A natural person shall be a citizen of the United States and age 18 on or before the date of the election. An artificial entity shall be a domestic entity in the State of Delaware. These provisions shall be construed in accordance with the principle of “one-person/entity, one vote.” Where a voter is entitled to vote by virtue of being both a resident and as an owner of real property, that voter shall be entitled to only one vote; where a voter is entitled to vote by ownership of two or more parcels of real property, that voter shall be entitled to only one vote. Any legal entity, other than a natural person entitled to vote, must cast its vote by a duly executed and notarized power of attorney from the legal entity granting the authority to cast its vote to its designated attorney-in-fact. Such power of attorney shall be surrendered to the election officials who shall file the same in the office of the Town. Such power of attorney so filed shall constitute conclusive evidence of the right of said person to vote in the election on behalf of the legal entity granting the power. The person casting the ballot for such entity shall be age 18 on or before the date of the election and a citizen of the United States. The deadline to file to run for office is June 20, 2018 at 4:30 PM EST. A Notice of Candidates is posted at Town Hall . You may download an application here candidate-filing-form, or pick up a copy at Town Hall. Completed applications will be accepted by the Town Clerk in person only. In addition to the above Town Application, all petitioners must complete the required State of Delaware forms at https://cfrs.elections.delaware.gov/. These forms must accompany your application to The Town. 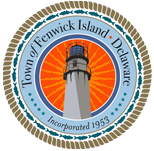 The Town of Fenwick Island is seeking qualified candidates wishing to serve on Town Council. There are three (3) positions on the Town Council to be filled. Each position is for a term of 2 years. You must be registered to vote for at least one year prior to the election for which you seek to be nominated. Other candidate qualifications include: a natural person who is a citizen of the United States; age 21 on or before the date of the election; and either a bonafide resident of the Town or a property owner in the Town; you may not have been convicted of a felony. The annual Town Election is scheduled for Saturday, August 4, 2018. Filing deadline for candidates is Wednesday, June 20, 2018 at 4:30 PM EST. Absentee balloting is available by filing an Affidavit for Absentee Ballot with the Town approximately 30 days prior to election. For further information relating to the election, qualifications and filing information, please contact Terry Tieman, Town Manager, at Town Hall, 800 Coastal Highway, Fenwick Island, Delaware 19944 or at 302.539.3011. Not later than 60 days prior to the election, the Mayor shall appoint, with the concurrence of the Town Council, a Board of Elections consisting of an inspector and two judges who shall be qualified voters in the Town and who shall not be an elected official or an immediate family member of an elected official. The term of the Board of Elections shall be one year.